Rock Band Country Track Pack allows you to play the fun and entertaining Rock Band video game with the country songs you love. You and your country friends can use this musical expansion of Rock Band to form a country band and live out your musical dreams to a country theme and twang. They included a total of 21 country tracks from country music history that allow you and your friends to keep the party going. The list of artists and songs included with this Wii music video game includes Alan Jackson’s "Good Time", Dierks Bentley’s "Free and Easy", and Shania Twain’s "Any Man of Mine". Country music lovers will enjoy listening and playing this video game to Brad Paisley’s "Mud on the Tires, the Dixie Chick’s "Sin Wagon", and Martina McBride’s" This One’s For the Girls". Rock Band Country Track Pack is compatible with most Guitar Hero and other instrument controllers to improve playability of this video game and allow others gamers to access this fun and satisfying music title. Rock Band Country Track Pack doesn’t include the ability for you to compete and challenge yourself against on line country music fans. They missed a great opportunity to add significantly to the game play and entertainment of this music video game by omitting this ability. They also didn’t include the ability to tour around the world while playing your country music that was included with the Tour mode of the Xbox 360 and Playstation versions of this video game. Add the fact that there are no bonus tracks or up and coming artists included with this music video game and they missed several opportunities to make a much better video game. The graphical presentation of Rock Band Country Track Pack is bright, stylish and energetic. The colors are sharp, clear and have a soft look that stands out in the eye. 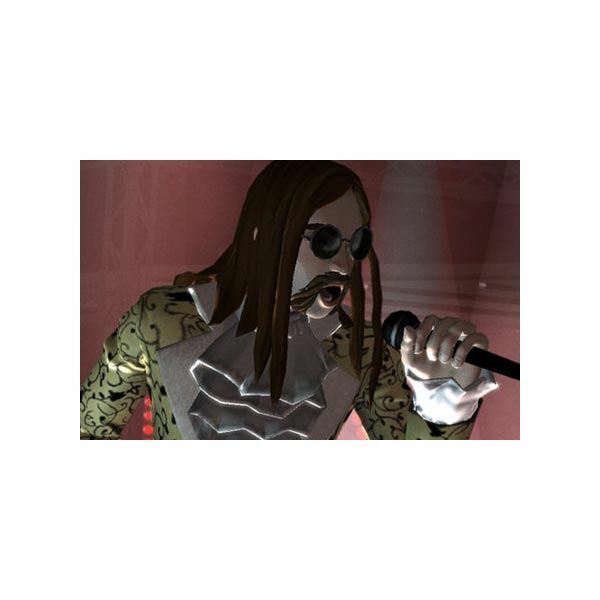 The graphical presentation included with Rock Band Country Track Pack doesn’t have country costumes and equipment for the characters you play. They should have taken the time to make sure all the country elements were included. The motions and actions of the characters are smooth and quick, but the close-ups of the characters look blocky and it’s difficult to tell them apart at times. The audible quality of Rock Band Country Track Pack is the best part and this is to be expected from a video game with music as the main game play element. All the sounds are clean, clear and crisp and are extremely entertaining to hear and play. None of the songs included with this music title have been available to play in a Rock Band or music video game before the development of this title. Rock Band Country Track Pack has the same smash-hit collaborative and competitive single player experience that was included with the original Rock Band. All 21 songs included are available for you and your country friends to play at the start of the video game in the robust and entertaining multiplayer mode. The instruments all work intuitively and respond quickly and smoothly to make playing this video game an extremely engaging and satisfying country music adventure. If you don’t like music because you can’t play a musical instrument, you’ll be able to play one in this game. You can experience making beautiful music the way you always dreamed of and learn to enjoy music. There aren’t very many solos in this video game for you to play but the ones you do have to play are made easier by the simple instrumentation included with this title. They only included a total of 5 difficulty settings in this video game but there’s very little difference between the two levels of difficulty. 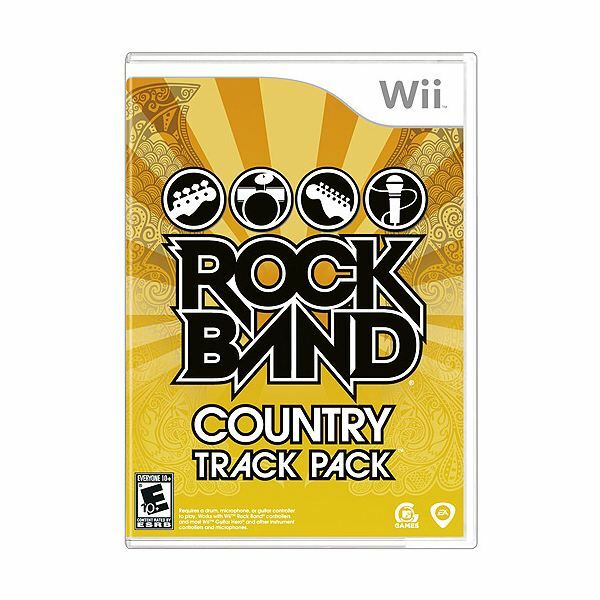 Rock Band Country Track Pack is the best stand alone expansion for Rock Band available for the Wii and includes a nice variety of country songs by country artists we’ll all recognize. 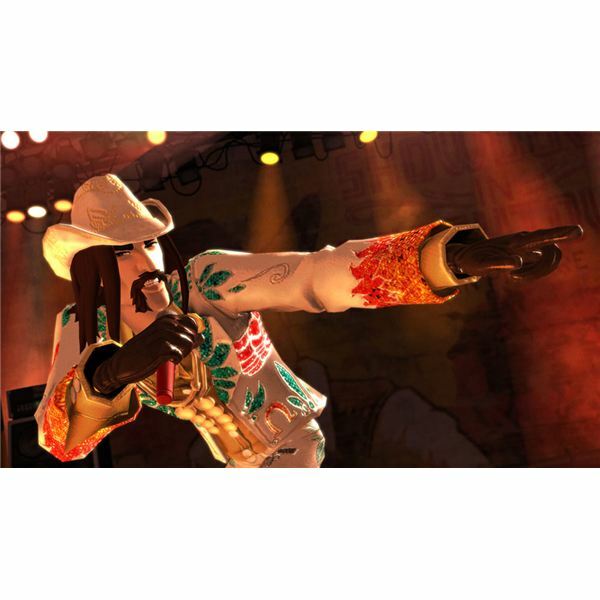 Rock Band Country Track Pack is a music video game suitable for all players who also love to listen to country music. This video game will entertain you for hours and hours by challenging you to play the songs better every time you play this video game.